Do you recognize who is it? This princess was given the award for the fact that she is the most beautiful Disney character. 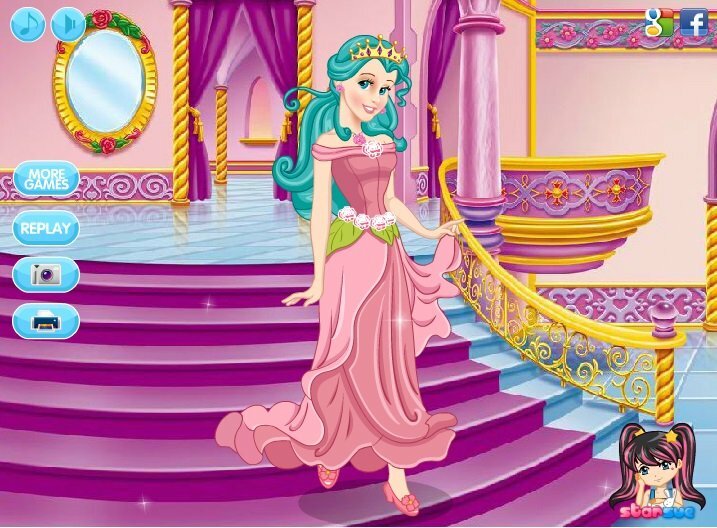 This is the princess Ariel! Did you see the cartoons with her participation? She is very cheerful, likes to travel and adventure. But at the same time she is very stubborn and does everything she wants. Sometimes it is not easy to make friends with such girls. Is that right? It’s good that she has magic, with which she can fix difficult situations in which she always gets! 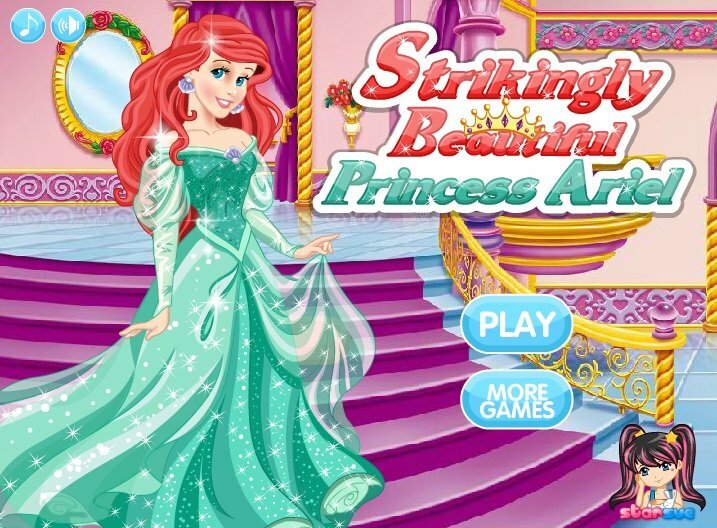 Choose dress, hair and makeup for princess Ariel, which suit to her character and appearance. Played: 85491. Added: 7-08-2014, 22:17. 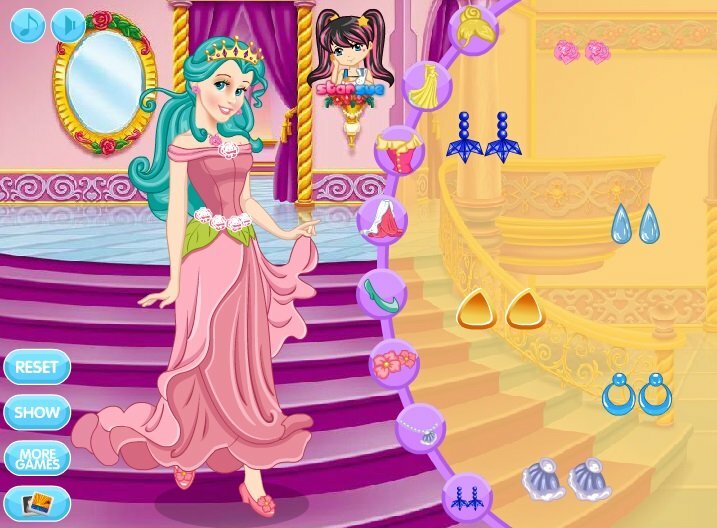 Ariel princess dress up game. New red dress for princess.